On Friday the 4th of January the Tasman and Sorell Shires suffered the effects of some of the worst fires’ that has ever hit the two regions. The conditions on the day were categorised as Catastrophic and the Fire Danger Rating (FDR) was set at 100+ – the highest available rating. 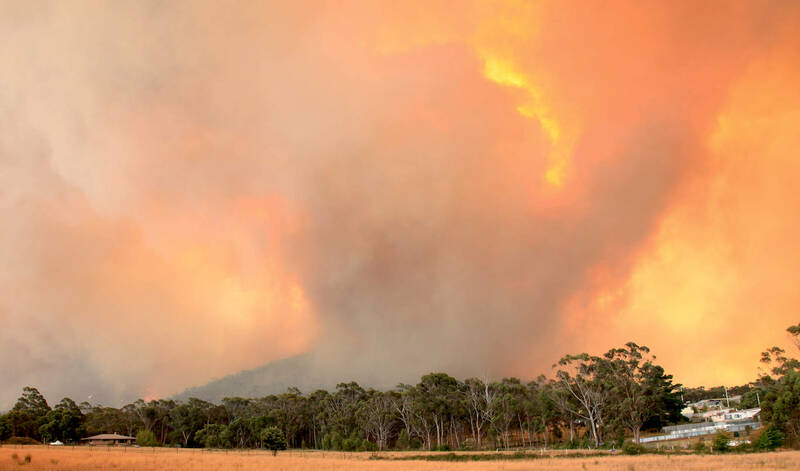 The hot weather and strong winds, combined with dry bush-land/pasture and embers from a prior burn-off ended up causing millions of dollars’ worth of damage to both Shires. The initial ‘Watch and Act’ advice was quickly up-graded to an ‘Emergency Warning’ and under the Catastrophic Rating provisions residents were told to evacuate immediately, many only escaping with their lives while homes, cars, livelihoods and livestock were all lost.